We are thrilled about the many interactive, exploratory, scientific activities we have planned this year! 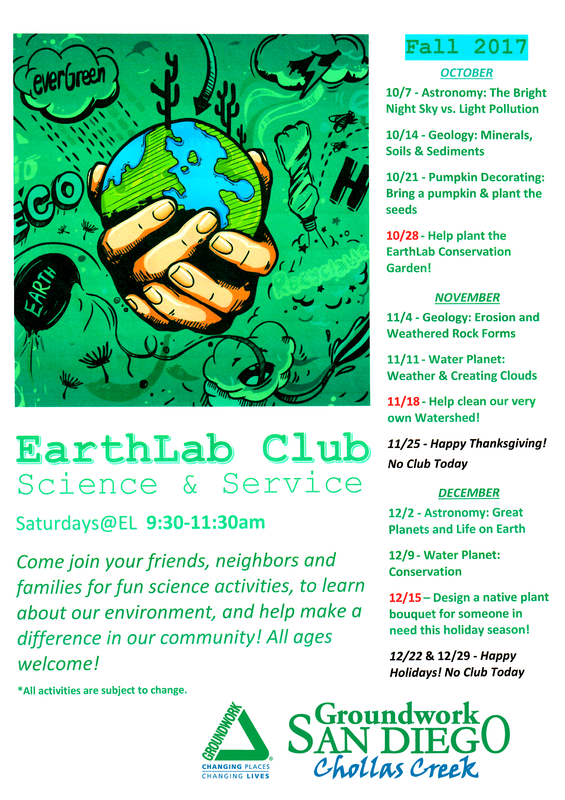 One of our most exciting opportunities for students and families is our new Saturday EarthLab Club: Science & Service. Any and all members of the community are welcome to join us every Saturday at the EarthLab from 9:30-11:30am. There will be a trained teacher who will teach a fun, interactive, science activity for all ages. The last Saturday of each month will incorporate a service activity to benefit the community. So, bring yourself and your family to the EarthLab on Saturdays to have some fun and learn something cool!